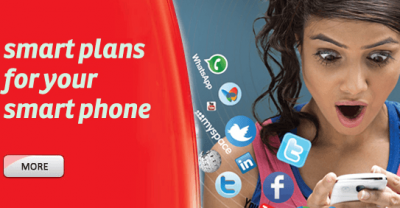 Today we will share with you a tip on how you can get as much as 7GB worth of data for internet browsing on any device with just 700 Naira on your Airtel SIM line. We all know that Airtel have a weekend data plan for people on the airtel network and users are entitled to 1GB with 100 Naira. So i will show you how to apply some simple tricks to accumulate this 1GB and acquire a whole lot of 7GB. If you are not yet aware, let me call to your notice that airtel weekend data plan can be accumulated. =>The more you subscribe the more the expiry date extends. How Can I Subscribe To 7GB With N700 From Airtel? It is simple. Although there is no official airtel 7GB for 700 Naira data plan but we will make use of accumulation tricks to achieve that. I hope you are getting the gist now. Good! Now to subscribe, simply dial *474*1# and you will be given 1gb while 100 naira will be deducted from your airtel sim card. If after dialing the code and your money wasn’t deducted, then it means your SIM is not eligible for Airtel weekend plan . Just get a new Airtel line and dial the USSD code. Now you can accumulate it withing the week to get 7gb by subscribing to this plan everyday. That is, from Sunday to Saturday. Meanwhile, if intend to use that of 3GB for 300 Naira, you can also subscribe for three days within the week.